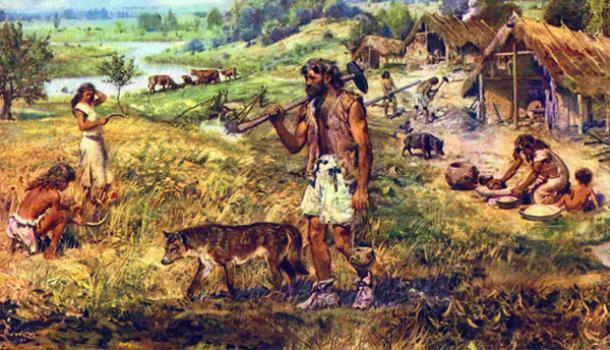 Feast Or Famine: Why Did Hunter-Gatherers Start Farming Anyway? Scientists at the University of Utah took a step back in time to understand why hunter-gatherers adopted agricultural practices. Most people today wouldn’t even consider taking a caveman approach to gathering food, but harvesting wild resources is how our early ancestors nourished themselves. What then prompted the transition from hunting and gathering to farming? This question has been debated, but anthropologists at the University of Utah believe they have an answer. 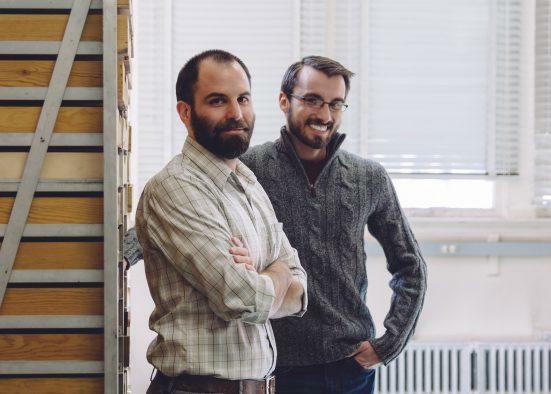 Anthropologists, Brian Codding (left) and Elic Weitzel (right), have evidence to support that domestication of wild plants in Eastern North America was prompted by population increase. Elic Weitzel, an author on the research recently published in Royal Society Open Science, said there are two primary hypotheses on why food domestication was initiated. So, which is it? Were people intentionally experimenting with plants, perhaps seeing if they could grow them bigger and better, when wild food resources were plentiful? Or, was there an imbalance between wild food and people? In an effort to shed new light on the competing hypotheses, the anthropologists examined plant domestication in Eastern North America. “Squash was the first domesticated plant in Eastern North America, and the earliest evidence of domestication comes from Missouri about 5,000 years ago. Humans, however, were around for several millennia before they started farming food resources in their environment,” said Weitzel. Radiocarbon dating, which determines the age of carbon-based materials, was a critical element of this study. The scientists used a database of previously compiled radiocarbon dates of artifacts, such as animal bones, wood charcoal and nutshells, to estimate population changes in Eastern North America over the last 15,000 years. “The relevance of radiocarbon dating for this study was that we could estimate human population levels based on the number of radiocarbon dates from a specific time period,” Weitzel said. The foundation of the analysis was that if more people are on living on a landscape, they will leave behind more artifacts that can be radiocarbon dated. Thus, if radiocarbon dates increase over a given time period, an increase in population can be assumed. Weitzel said in the 1,500 years prior to domestication the number of radiocarbon dates doubled. This implied there was population growth prior to the domestication event and that scarcity of food was a driving factor. These results supported the behavioral ecology hypothesis. Had the niche construction hypothesis been favored, minimal population changes would have been expected prior to domestication. The researchers believe these results help explain why humans were driven to take up farming and likely reveal the reason other food domestication events took place worldwide. Journal reference: Elic M. Weitzel and Brian F. Codding. Population growth as a driver of initial domestication in Eastern North America. Royal Society Open Science, 2016; 3: 160319. DOI: 10.1098/rsos.160319.